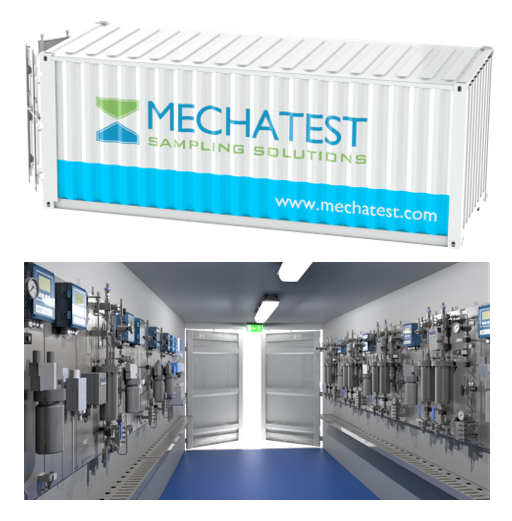 Mechatest is well known for it’s excellent quality water, steam sampling and analysis solutions built as per ASME PTC 19.11 and VGB/DGRL. 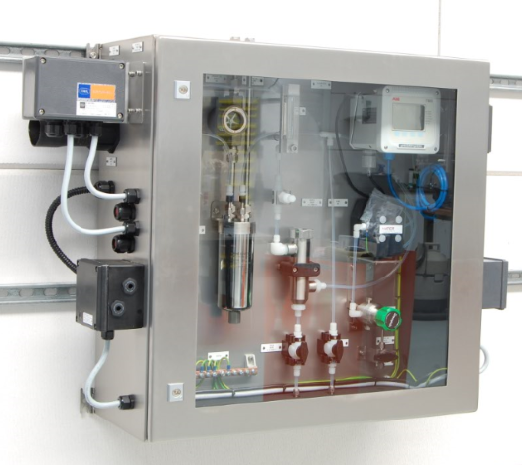 The Steam and Water Analysis Systems (SWAS) are designed with worlds best-in-class instrumentation parts to keep the reability of your water steam analysis safe at all times and to protect your plant from corrosion and scaling. 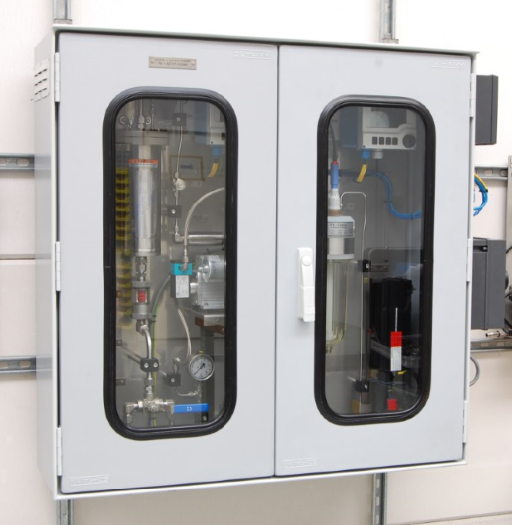 As a result, you save maintenance costs, minimize downtime and prolong the operational life for your plant. 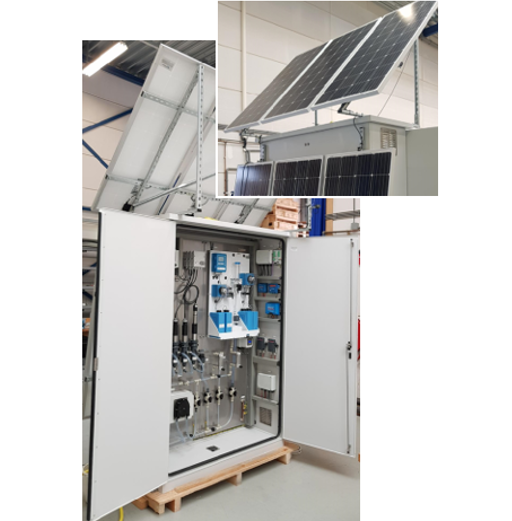 Our solutions are suitable for outdoor use in an industrial environment and ATEX Zone 1 or 2. 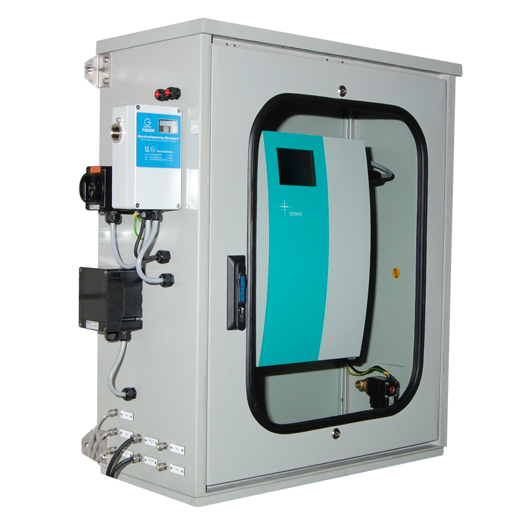 After selecting the analysers and designing the sample systems it is very important to choose the environment for the complete system. 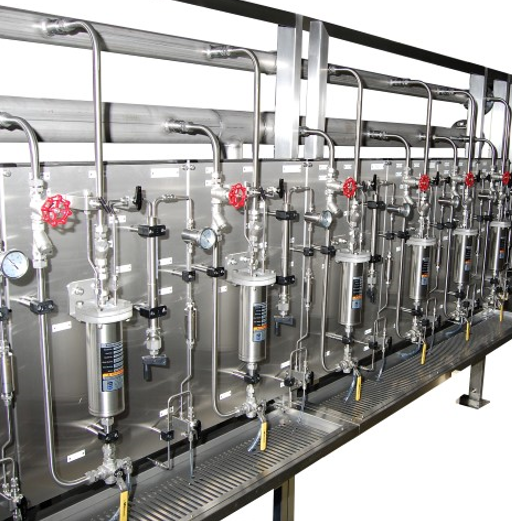 Built as per standard VGB/DGRL and guidance ASME PTC 19.11 Steam and Water Sampling, Conditioning, and Analysis in the Power Cycle. 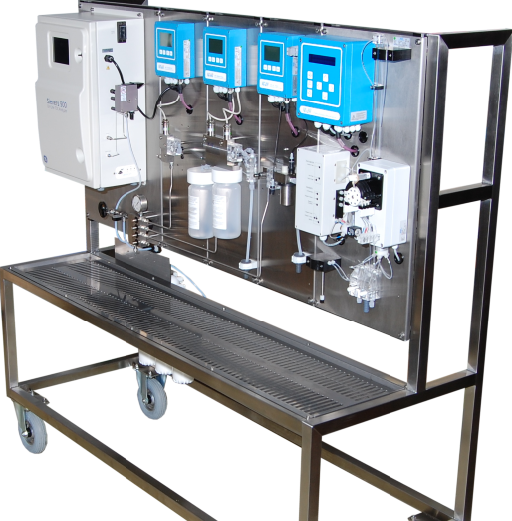 Manufactured by Mechatest Sampling Solutions. 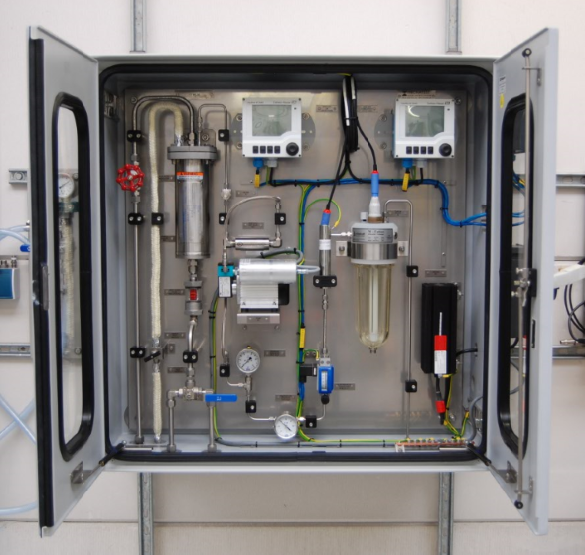 As an independent System Integrator our main activities are the complete design, engineering, procurement, assembly and integration of steam and water sampling, conditioning, and analysis systems for the power cycle industry, we design accordingly to VGB/DGRL and ASME PTC 19.11 which discuss the methods and instrumentation for testing boiler make-up and feedwater, steam, and condensate in relation to performance testing. Longer lifespan of the equipment, etc. In a lot of cases a “walk-in” shelter is a very good and durable solution. 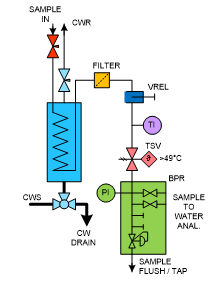 Predesigned SCS for water condensate measurement applications. ASME PTC19.11 The specification requires a ""isokinetic sample nozzle" for representative sampling of the specific two-phase saturated steam flow via sample ports drilled in the side of the nozzle facing the steam flow. 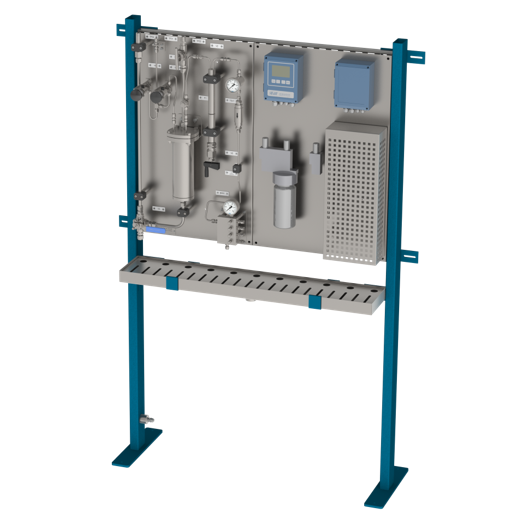 Sample Conditioning Panels are designed for proper conditioning of your steam and water samples. We take care from sample tap to sampling conditioning and analysis. 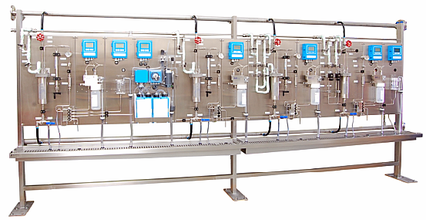 Mechatest standard sample conditioning panels for steam and water sampling purposes, the conditioning systems has the main function to reduce and regulate the temperature, flow and pressure of the sample. 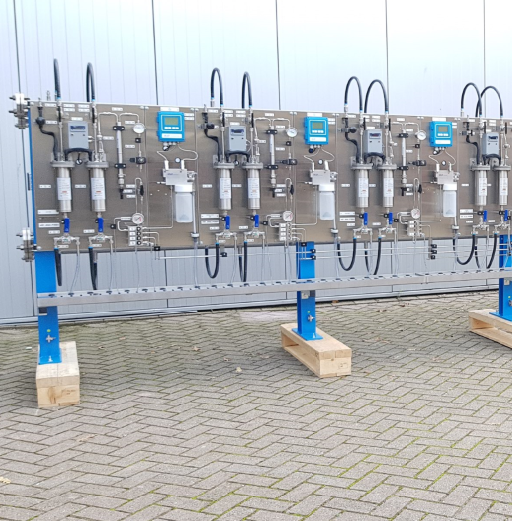 This kind of sampling panels are mostly used in combination with water analyser equipment for analysis on chemical parameters like conductivity, pH, dissolved Oxygen, Silica, Sodium etc. 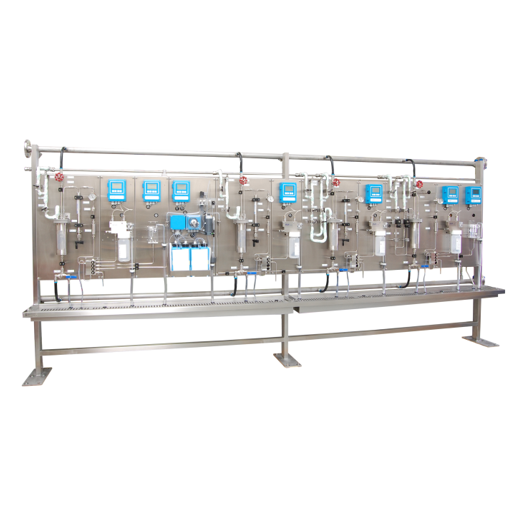 The panels are designed with best quality products for safe operation and representative sample at the desired pressure and temperature. 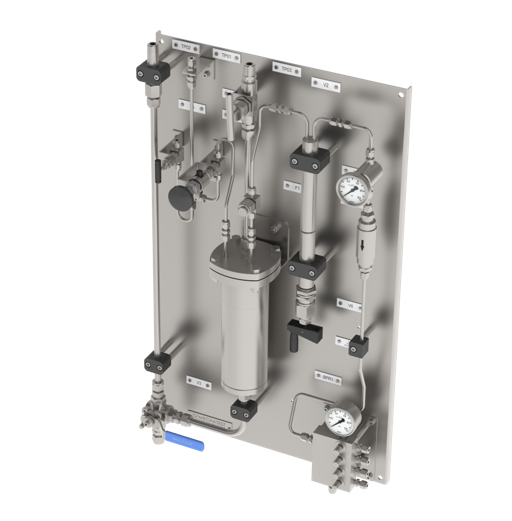 The VREL® is an adjustable sample pressure reducerfor sample pressures above 34.5 barg (500 psig) according to the Annual Book of ASTM Standards, ASTM Designation D3370. A precisely machined tapered rod assembly moves inside precision holes within the barrel of the VREL®. Pressure drop is a function of the length of the rods inserted into the barrel. Shuts down high temperature sample in less than 5 seconds. 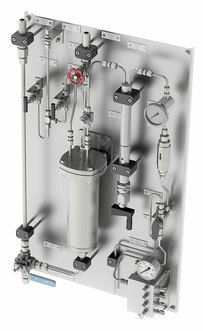 Protect operators, analyzers and sampling components from high temperature liquids with a Sentry Thermal Shutoff Valve. 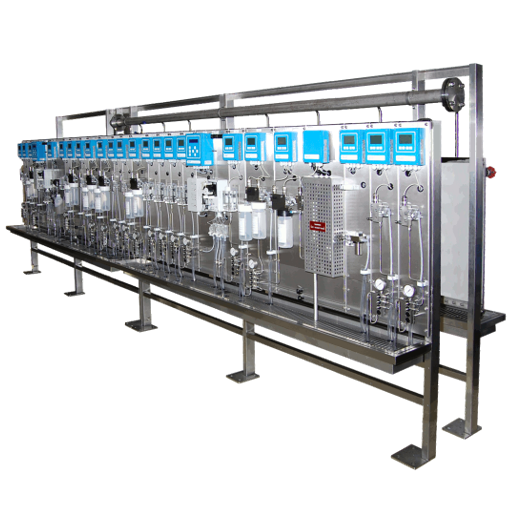 The sensor/actuator is directly exposed to the sample, providing quick reaction time. Economical and highly reliable replacement for solenoid shutoff valve and temperature controller. Excessively hot samples can cause damage to expensive and sensitive hardware and electronics. 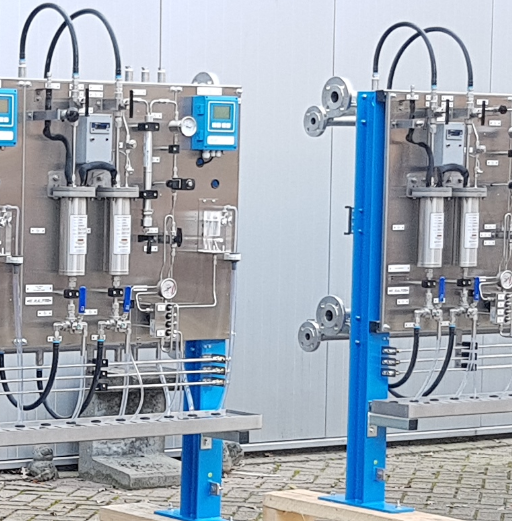 For process analyzers and similar instrumentation, it is important to assure that the process samples fluids are always below the maximum allowable temperature for such instruments. 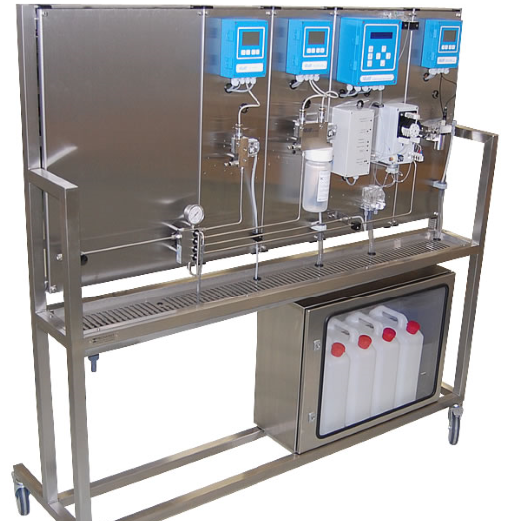 Sample coolers are commonly used to reduce sample temperatures to the acceptable limits. In the event of a loss of cooling fluid to the sample cooler, or if the desired sample temperature is exceeded for any reason, the HST valve will close to prevent equipment damage. HST valves are covered with our standard 36 month prorated warranty. The HST (High Sample Temperature) safety shutoff valve is used to sense the sample temperature after the sample cooler. The sample passes through this normally open valve whenever the sample temperature is below the valve setpoint. If the sample temperature exceeds the valve setpoint, the HST closes to protect expensive and delicate analyzers and other instruments from overtemperature damage. When the HST cools below the setpoint, it will automatically reset open again. Magnetic Trap is effective in removing magnetite and other iron particles from samples. It is easy and intuitive to clean and service. The magnet inserts into the "dry well" and does not contact the sample fluid. Magnetite sticks on the wetted side of the drywell. To clean the trap simply divert the sample outlet to drain and remove the magcore from the drywell to flush the magnetite and debris from the trap. 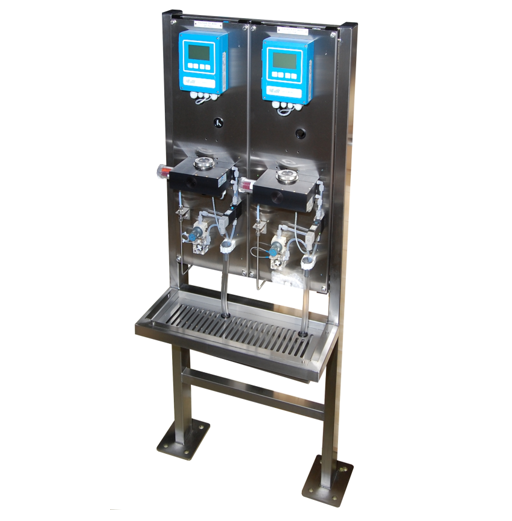 Sampling points should be selected such that the samples taken are representative of the different sources from which water is obtained by the public or enters the system. These points should include those that yield samples representative of the conditions at the most unfavourable sources or places in the supply system, particularly points of possible contamination such as unprotected sources, loops, reservoirs, low-pressure zones, ends of the system, etc. Sampling points should be uniformly distributed throughout a piped distribution system, taking population distribution into account; the number of sampling points should be proportional to the number of links or branches. The points chosen should generally yield samples that are representative of the system as a whole and of its main components. Sampling points should be located in such a way that water can be sampled from reserve tanks and reservoirs, etc. In systems with more than one water source, the locations of the sampling points should take account of the number of inhabitants served by each source. There should be at least one sampling point directly after the clean-water outlet from each treatment plant. 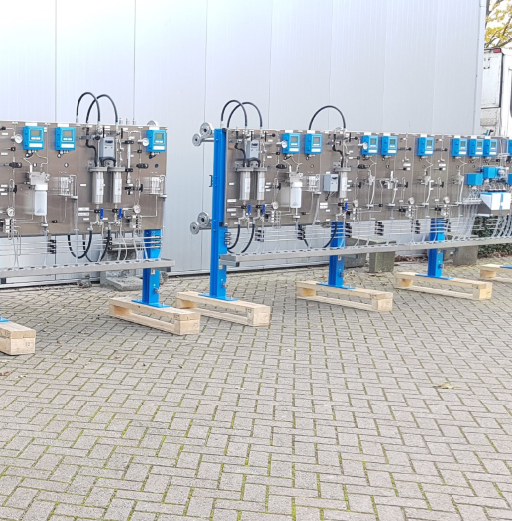 ASME PTC 19.11 The specification requires a "isokinetic sample nozzle" for representative sampling of the specific two-phase saturated steam flow via sample ports drilled in the side of the nozzle facing the steam flow. 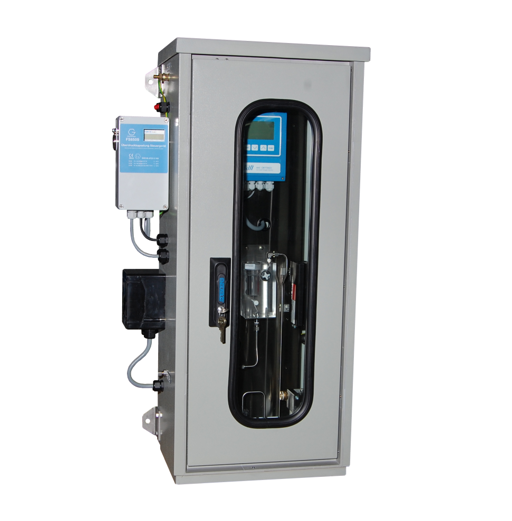 Recommended for saturated steam in steam boiler and power plants, for superheated steam (only if particulates are measured), isokinetic sampling is normally not required for water samples. These nozzles meet also the requirements of ASTM Standards D1066 and D3370. The nozzles extract a representative isokinetic sample from a flow region removed from the pipe surface and at the average flow velocity of the sample fluid. This arrangement results in the withdrawal of the sample with representative concentrations of dissolved, suspended, and volatile constituents. 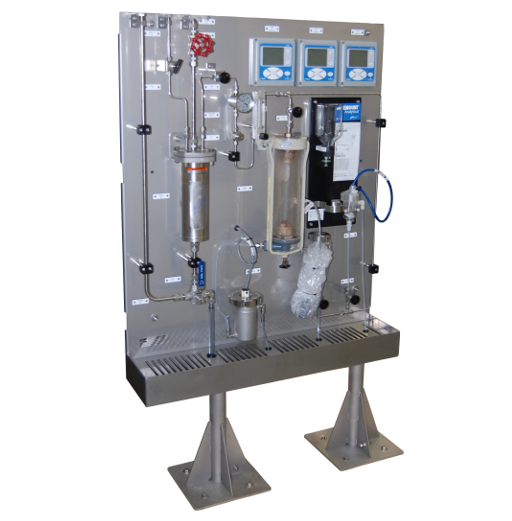 An appropriate nozzle (probe) is designed for the desired sample flow and typical conditions of the sample fluid. When the flow velocity through the pipe changes, sample flow should be adjusted to maintain isokinetic sampling. Each Nozzle (probe) is designed with considerations of vortex shedding, resonance, vibration, erosion, and strength of the attachment to the pipe.